I “met” Karen La Rosa online when we both participated in a documentary about Sicily produced by Mark Spano. A fascinating and charming man himself, he raved about her insight, eloquence and passion for Sicily. When we started e-mailing, I realised everything he said about her was true. Karen lives in New York and runs a travel business, taking as many Americans as she can to share her Sicilian heritage and the beauty of this island. Since Karen’s Facebook Page glows with beautiful photographs of Sicily, I asked her to compose a guest post for me. All I expected was a photo essay with a few personal comments, but instead she compiled a beautiful collection of quotations about Sicily through the centuries. So great is my love for Sicily, that I turned it into a business. I can share the magic of my Sicily with people who want to travel, learn, and enjoy the richness of such a beautiful island. Sicily has certainly bewitched many before me, though, and it goes way beyond the oft quoted Goethe. The consistency of the love-fest messages is clear over time, but their individual eloquence is such a joy to read. Their words, my eyes. The 18th century French painter Jean Houel left for Sicily in May, 1776. He intended to stay a short time but never left for 4 years. Who would want to leave? There is scholarly debate about whether or not Shakespeare visited Sicily or whether perhaps he was Sicilian. He seemed to write about Sicily with such knowledge. The climate’s delicate; the air most sweet. In The Leopard, that classic and quintessential Sicilian novel, Lampedusa evoked so fabulously the expansive southwest area where my heritage lies. In 1788 the art historian Jean-Dominique Vivant Denon, wrote Voyage en Sicilie. The first director of the Louvre Museum and Napolean’s Art Minister traveled quite a bit for the time, but he wrote a book about Sicily. Fast forward to the 20th century and the keen observations of Leonardo Sciascia. How could you not love a book entitled The Wine Dark Sea? Perhaps today we are a little less eloquent, but still the message is the same! Sicily is not only where my heritage lies, but also a big piece of my heart. Let me show you Sicily through my eyes. Thank you very much, Veronica, for this really fun opportunity to be a guest on your Blog! A novel about an English woman who takes on parenthood, the Mafia and a Sicilian mother-in-law, all at once. 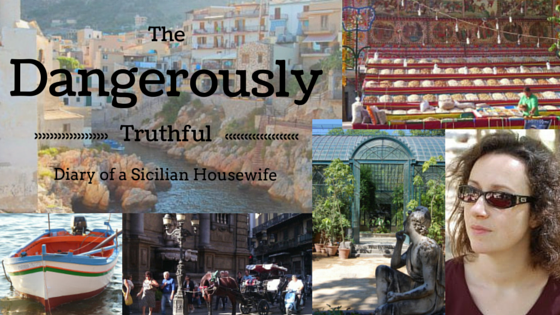 QUESTIONNAIRE: Could YOU make the grade as a Sicilian Housewife? Thank you for the comment, Jules. These are but a few quotes in the collection! I am so glad you like the photos, too. Means a lot. It’s been a pleasure to help you. Glad I got you two together, too. We’re all floating around in the same crazy boat. I think I want to hop on a plane and go to Bella Sicilia NOW! Thank you for this post! The third photo …could that be in taken in Erice from the Temple of Venus? We were there last fall and I snapped about a thousand pictures of this view. Sicily is easy to fall in love with! You are correct! Very good! Yes, this view from Erice is exquisite. In Sicily, views are a specialty. So glad you enjoyed it. Thank you. Lovely blog post! 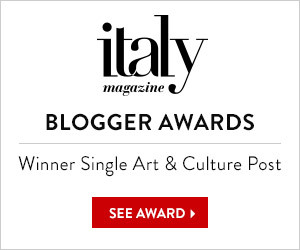 My favourite Sicily quote is Goethe’s ““To have seen Italy without having seen Sicily is not to have seen Italy at all, for in Sicily is the key to everything.” Just found your webpage Karen. If I weren’t already here, it would most certainly make me want to come! Congratulations on a wonderful blog post with great pictures and quotes. I would add one more traveller who made interesting observations on Sicily, Patrick Brydone. He was a Scot who toured Sicily with two friends in 1770 and reported on his trip in letters to William Beckford in England. Reprints are available and read in a surprisingly modern fashion. On Palermo he wrote: “I shall have a great deal to write you about this city; we are every day more delighted with it, and shall leave it with much regret”. I have heard Patrick Brydone visited Sicily, mainly becuase he was one of the distinguished visitors to tour Villa Palagonia in Bagheria where I live. I didn’t know his book was available, I shall look for that. Thank you!